As we get older, we all try our best to manage our spending better. Growing up comes with more responsibilities, and with more responsibilities comes more expenses. Because of this, it’s important to ensure that the money we are working hard for is going towards our goals and values. But setting a budget for yourself doesn’t always work out as planned. It’s important to create a budget that is realistic for your lifestyle and you are able to stick to. Here are some of the main reasons why budgets fail and some ways to avoid them so you can start getting your finances in order for the rest of the year, and future years to come. Creating a budget for yourself generally involves watching where your money is currently going and deciding where you would like it to go in the future. The part most people seem to forget is, if you have set an unrealistic allocation for your funds, it isn’t likely going to work. By simply not evaluating all your expenses closely enough or underestimating how much you will end up spending on certain categories and forgetting to cut back on others, your budget won’t work out as planned. A way to fix this is to track your spending honestly and regularly so you can continue to adjust your budget. It can be easy to account for regular and predictable expenses like your monthly mortgage or car payment, but it’s important to not forget to leave room for the irregular or unpredictable expenses that may come your way. Many people tend to forget to include annual or semi-annual bills like car insurance, holiday presents or even a vacation fund, so it’s a good idea to update and tweak your budget as often as it changes. A budget may seem like a month-to-month list obligation you need to incorporate into your life, but it’s important that it has a greater purpose. If you do not have financial goals for yourself, it can be difficult to see a purpose, stay motivated and ultimately find success in your budget. It’s a good idea to think about short-term goals like a vacation you’ve been wanting to go on or new pair of shoes as well as long-term goals like saving for a new car or your retirement fund to help you measure your accomplishments and push you to move even further. Ideally, your budget should reflect your goals and your values. The number 1 reason why people are not successful with their budget is that they are simply not sticking to it. There is no purpose in going through the process of tracking your spending and creating a budget if you’re going to ignore it or not follow it. A budget requires hard work and determination. It’s a good idea to refer back to it frequently throughout the month to make sure you are practicing self-discipline and staying on track. Getting organized about your income and expenses will not only help you make smarter short-term decisions but will help your overall financial stability in the long run. Be sure you are creating a realistic budget and avoid the above mistakes to make sure it works for you. 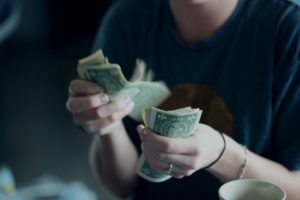 If you feel like you are still struggling to budget successfully after trying out these tips and need some extra cash, Tio Rico is here to help. At Tio Rico we offer the best title loans Los Angeles has to offer, and unmatched customer services all under the same roof. With offices located throughout Arizona and New Mexico, Tio Rico is your best resource when you need fast cash. Get started right now by filling out our 1-minute application form online, giving us a call, or by visiting us at one of our convenient locations today!